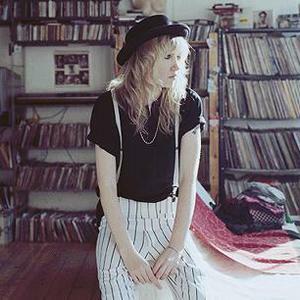 Ladyhawke is the stage name of the singer-songwriter and multi-instrumentalist Phillipa 'Pip' Brown (born in 13 July 1979 in Masterton, New Zealand). She can play electric, bass and acoustic guitars, synthesizers and drums. Pip tours with a live band, but in studio she plays all the instruments. Influenced by 80s music, her musical style blends new wave, indie rock and electropop. She is best known for the singles "Paris Is Burning" and "My Delirium". Born with Asperger's Syndrome, Pip Brown came from a musical family, with her mother being a singer-guitarist and her stepfather, a jazz drummer. During her childhood, various illnesses and allergies kept her in and out of the hospital. At age 10 she contracted erysipeloid, a disease that is common in seagulls but had not been seen in humans in New Zealand for 20 years. Her allergies to antibiotics, penicillin, and antihistamines greatly complicated treatment efforts and had put her in a coma and she came close to dying. While attending Chanel College, she played in several grunge bands. After high school, Brown moved from Masterton to Wellington and formed in 2001 the hard rock band Two Lane Blacktop with some friends, playing lead guitar. Brown relocated to Melbourne, Australia after Two Lane Blacktop parted ways in late 2003, when their lead singer and drummer quit the band. In Melbourne she met Nick Littlemore of Pnau (and later Empire of the Sun), formed the duo Teenager and moved together to Sydney. In 2006 Brown decided to leave Teenager to focus on a personal project she had been developing for sometime, a persona she had dubbed "Ladyhawke", inspired by the Richard Donner film from 1985 with the same name. In 20 September 2008, her debut album Ladyhawke was released on Modular and gained mostly positive reviews. The album peaked at #16 at UK Albums Chart, #16 Australian Albums Chart, #41 at U.S. Billboard Top Heatseekers, #62 at European Top 100 Albums, #1 at New Zealand Albums Chart. Ladyhawke ranked #23 on MusicOMH Best Albums of 2008. She released five singles from the debut album: "Back of the Van" (1 April 2008, re-released in 18 May 2009; #93 UK), "Paris Is Burning" (6 July 2008, re-released in 2 March 2009; #47 UK, #52 AUS, #40 NZ), "Dusk Till Dawn" (8 September 2008; #78 UK), "My Delirium" (8 December 2008; #33 UK, #8 AUS, #9 NZ) and "Magic" (28 September 2009; #31 NZ). In 2008 Pip Brown collaborated with the Australian band Pnau on the song "Embrace". In 2009 Ladyhawke won five awards (Album of the Year, Best Dance/Electronica album, Single of the Year for "My Delirium", International Achievement Award, Best Female Solo Artist, Breakthrough Artist of the Year) and was nominated for People's Choice Award at New Zealand Music Awards. In the same year she was nominated for Best Solo Artist at NME Awards, Best Kiwi & Independent Spirit at MTV Australia Awards and for six categories on ARIA Music Awards 2009 (she won two of them: Breakthrough Artist ? album for "Ladyhawke" and Breakthrough Artist ? single for "My Delirium"). Ladyhawke was also nominated for International Female Solo Artist at Brit Awards 2010. In 4 May 2010, Ladyhawke released a digital live EP entitled iTunes Live from SoHo. Currently she is writing material for a second album.